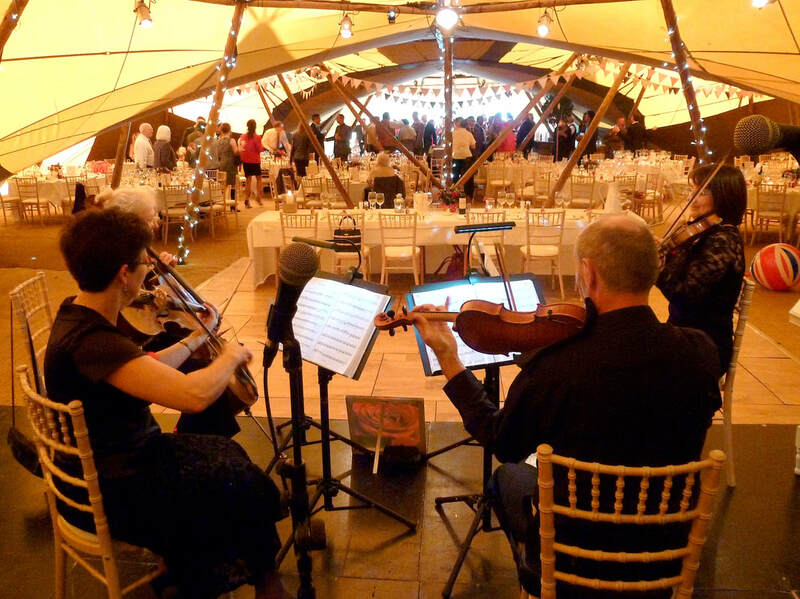 "The Rosemount Quartet were our favourite wedding suppliers!" The musicians are all graduates in performance and teaching, having studied at The Royal College of Music, The Queensland Conservatoire of Music, Oxford, Cambridge and London Universities. We are experienced orchestral players too. When not performing, three of us are instrumental music teachers and the other member is a choral conductor. We have accomplished pianists among us, so if you have access to a piano, and would like a piano accompaniment as part of your unique event, please do ask. The Quartet enjoys performing, and is made up of skilled, reliable musicians who take pride in their playing and appearance. We take our bookings seriously; should one or more of our members be unavailable, due to sudden illness or unforeseen personal circumstances, we have a pool of talented musicians who we can call upon to step in. Go to our facebook page to find a short video clip and hear us. to find out where we may be performing next. The Rosemount Quartet performing for a Wedding Fair catwalk show at The Walled Garden Beeston Fields. Or you can request to hear and meet us in rehearsal, when we are able to perform just for you, free of charge! A couple meeting the quartet to finalise their music choices. Performing as guests start to arrive. "We just wanted to thank the Quartet for such a lovely performance and service which made our wedding that much more special. We were absolutely spot on in choosing The Rosemount Quartet for our live wedding day music. Your style and interpretation and timing was brilliant and we have had so many comments back from our guests saying that you were all truly amazing." "The Rosemount Quartet were our favourite wedding suppliers! My new husband always wanted a string quartet but I wasn't convinced; that was until I met The Rosemount Quartet at a wedding fair. They brought me to tears by performing the Disney Hit 'Let It Go'. I booked them there and then and am so thankful for that day! They couldn't do more for us: they learned all our Disney requests and are just the loveliest people. Our guests couldn't stop talking about them and we felt so proud that they were part of our wedding. I can't thank them enough for all they did and would gladly recommend them." "I was really impressed with your performance at Wollaton Hall. You were all so happy and cheerful, it was fabulous. The tunes you played were so upbeat and toe tapping, and I shall definitely be recommending your services." "I would just like to say how wonderful you sounded at my daughter's wedding. There is nothing like live music for creating a warm celebratory atmosphere and your quartet was simply brilliant at that." "We are so grateful to you for your wonderful performance - several people have told me that this was the best conference dinner they have been to (and they did not mean the food!) You managed to combine great music with entertainment that perfectly suited the occasion, and your instincts about pace and pitch were perfect. Thank you so much for making the main evening of our conference so memorable!" "Thank you a million for playing at our wedding. You added so much to the occasion and everyone commented how great you sounded. We had an amazing day; thank you for helping to make it so special and memorable." "Rosemount the string quartet are very good and hugely important in setting the tone for the evening. I did not get a chance to thank them so please pass on my best regards." "I just wanted to say a huge thank you for playing at our wedding fayre. It was an absolute pleasure to hear you play and we will be recommending you to all our Brides & Grooms." 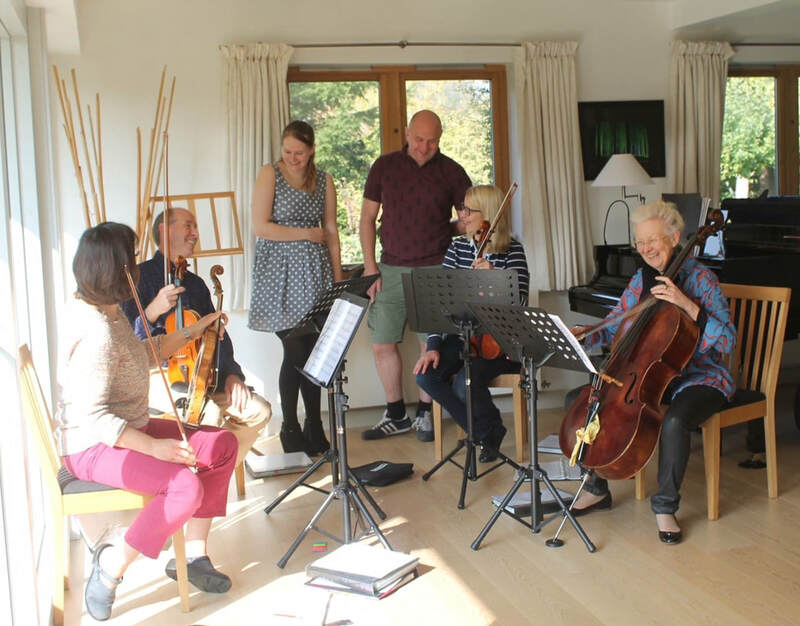 "Many guests commented on how the music made such a difference to the day. Thank you for being wonderfully co-operative and excellent people to deal with. Will heartily recommend to anyone!" "I just wanted to say a huge thank you to the quartet for playing at our wedding. The music was fantastic, and it really made the day special to have you there. I particularly loved the Elgar when we signed the register, and I was very nearly in tears walking up the aisle to the Corelli. I heard the Haydn as I was meeting the Registrar beforehand, it was lovely. Thank you for all the effort you made to personalise the choices for us, it made it very memorable."